2. Estate agents – this is a method that works in many countries but France does things differently. 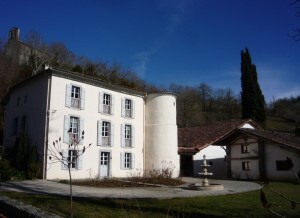 It is not usual practice to turn up to agencies in France and get given a handful of property details that you can go and scout from the outside or arrange to view then and there. Here, an estate agent will expect you to make an appointment in advance, lasting half a day or longer and will then show you what they have for sale by driving you around to what may turn out to be a variety of unsuitable properties. Remember that the estate agent is there to sell you a house and it doesn’t matter which one; he gets paid just the same. No agent in France will tell you the exact location of a property and let you go and have a look yourself – they are too worried about being cut out of the deal and that is just not the way things work here. And don’t expect them to keep in touch with you once you have left their office either. Agents operate very differently here too; you won’t be given a handy map with the exact location of the property marked on it because agents are far too worried that they will be cut out of the sale so property details will only give a very vague location, often not even the name of the closest village. Plus most agents give out only the most basic information about each property; certainly no ‘to-scale’ floor plans, nor even many photos (again so as not to give away the location or because photos are more likely to put off potential buyers). Which means you really do need to view a large number of very unsuitable properties here before finding ‘the one’. 3. A professional on your side – The seller has the agent working for them, on their side. Property finders work exclusively for the buyer not the seller. They will spend weeks doing all the time-consuming research, write up detailed reports on each possible property, provide you with expert advice and keep your search on track (it’s very easy to get carried away), arrange viewings to fit in with your timings and advise you on each area and village when you view. And finally they will negotiate the deal for you, ensure that you buy the right property at the right price and in the right location and hold your hand throughout the buying process. 4. Private sales – buying privately can be an appealing route to take but it’s important that you understand the French property market first. 30% of people buy French property privately (entre particuliers). This rises even higher when you take just French buyers/sellers into account. Websites like www.pap.fr or www.entreparticuliers.com are widely used. The most common reason people buy French property privately is to avoid estate agency fees. These vary between 5% and 10% depending on the the sale price. 5. Local knowledge and expertise – We are here, on the ground, tapped into the local property market with local knowledge and contacts knowing people, properties, prices and understanding what’s going on. Moreover, we know what the market is doing, where prices are going, what is good value and what is not.